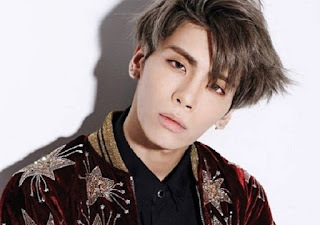 I was deeply sadden by the sudden death of Kpop idol Kim Jonghyun. Hailed as the princes of Korean pop, Shinee was known for their amazing dance performance and incredible vocals. It was unbelievable that the bright and cheerful boy of Shinee had been suffering from depression. Jonghyun sister had reveled that she received a text message from Jonghyun before he poisoned himself to death. His final message to his sister revealed that he had been suffering and leading a hard life. That was his final goodbye to his loved ones. According to sources, Jonghyun cause of death was due to inhaling carbon monoxide. He was unconscious when he was taken to the hospital and died of cardio arrest. When I read his last post at Instagram, it dropped hints of depression. His mental health condition caused his decision to end his young life which was a tragedy. Previously, Shinee leader Onew was involved in a sexual assault scandal. Although the matter was settled peacefully, the reputation of Shinee suffered. It was said that their images was broken and the kpop group popularity was declining. I wondered what really happens to Jonghyun and I truly hope that this type of incident will never happen again in the future. This year was a tragic year for Shinee and their fans. As the year is coming to an end, I was truly shocked by this tragic news of his passing. I really hope that people who have thoughts of committing suicide to immediately seek help from professional. Please remember that life is so precious and we must love ourselves. No matter what, please choose to be happy and live on.